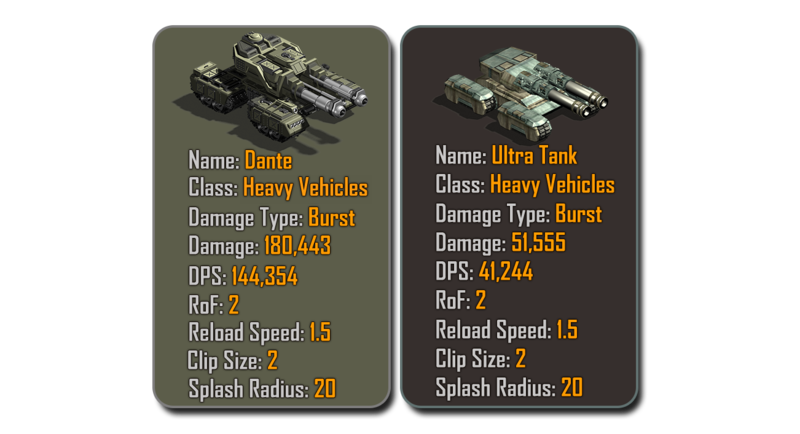 ♦ DPR (Damage Per Round) or DPP (Damage Per Projectile) is the amount of damage inflicted by a single shot, bullet, missile, projectile, or round. Note: this amount can only be increased by using +Damage components or from any damage buff provided by a Hero, GoGo-Bar, Shadow Ops. 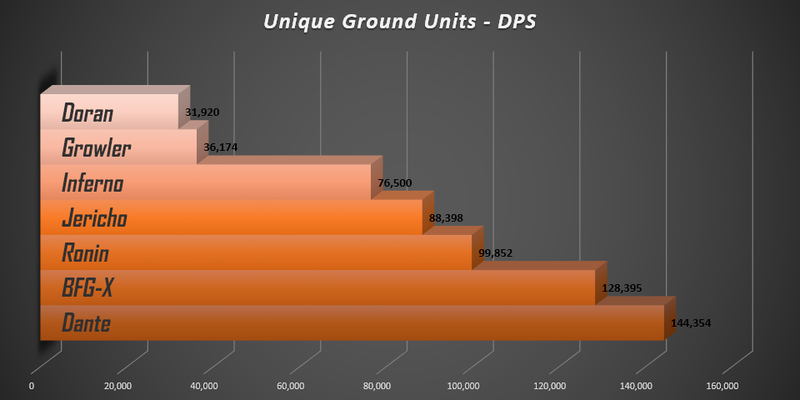 ♦ DPS: is the average amount of damage delivered over a period of time (1 Second) it gives a quick and more accurate measure to how good your unit is compared to other units. As it takes into consideration all the other factors affecting the performance of the unit such as the Reload Speed, the Clip Size and the Rate of Fire. Note: this value can be increased by using any +Damage components in addition to any performance enhancing components like the Bandolier, Shell loader, ….etc. 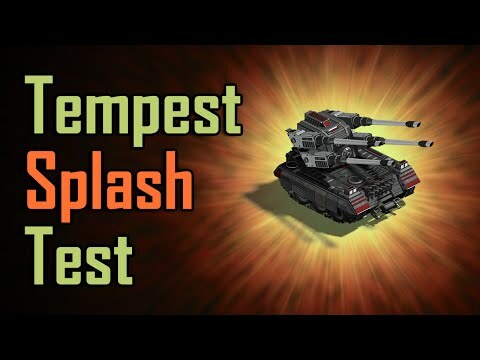 Mega Tanks - Ultra Tank - Stinger - Flood Turret - Commando - Cyclone - Enforcer...etc. Burst shots can be evaded by fast-moving vehicles. The long reload times make it easier to bait Burst-damage units with any expendable unit then hit it with your main squad. Best way to protect your special forces from this kind of damage is by using any version of the [Adaptive Body Armor] the Rare one [R] is highly recommended! ♦ Sustain Damage: is a continuous stream of bullets with a low DPR, moderate to low Reload and high Rate of Fire. Units that have this kind of damage are: Gatling Trucks, Heavy Gunners, Preservers, Kara, Avalanche and Microwave Turrets. 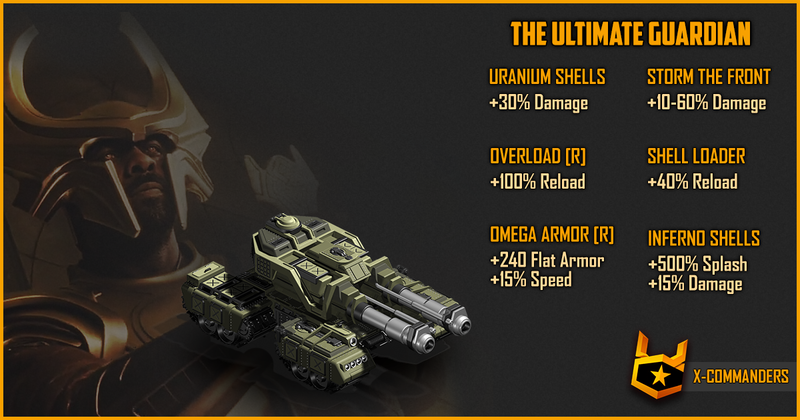 The sustain damage have low impact on Heavy Tanks & Armored structures, but it excels at tearing light-vehicles and Infantry apart. This kind of damage is spread over an area and affect secondary targets around the main target. 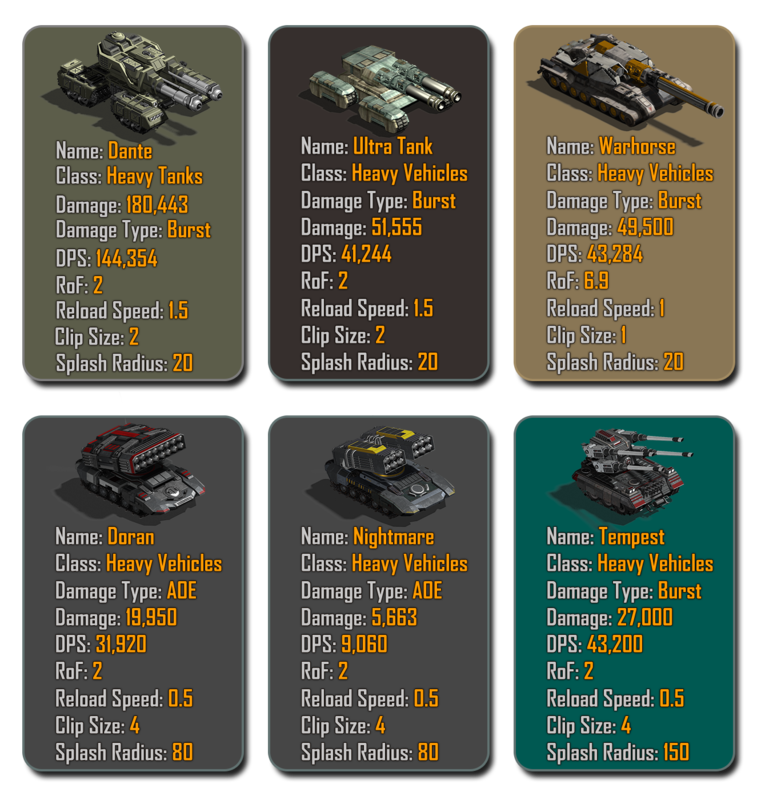 units with this kind of damage: Infiltrators - Fire B Artillery - Nightmare - Flak Tank - Rocket Barrage - BFG - Sarkis. Some units are weak to this type of damage such as Kara & Infiltrators. For maximum protection, you have to use both [Take Cover] & [Caution Order]. Stands for Damage over Time. it's a condition that causes the affected unit to constantly take damage until the effect expires such as burning and corrosive damage. Units with this kind of damage are: Vipers - Scorpions - FAV...etc. The type of damage you take from a very short-ranged and hand to hand combat.units with such type of damage: Attack Dog - Zombies - Widow Makers. for better protection from these kind of attacks and for a faster way to kill your melee opponents, you should use [Storm the Front] along with any +damage components. ♦ Irreducible Damage: Damage from Fire Bomb Artillery Turret, it cannot be reduced by any effect. There are many units with these types of damage such as Nightshade’s Drones - Vipers - Ryu Kai Units – Slayer Drones and Shock Tanks. Incendiary Effect is effective against Infantry and Zombies. Corrosive Effect is effective against Heavy Vehicles. 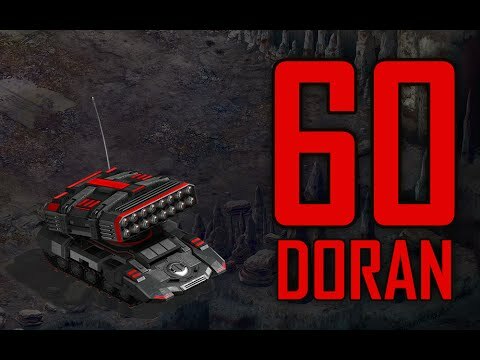 ♠ Damage Reduction: is the amount of damage ignored or subtracted from the DPR by the units’ armor, special ability or a special boost from external sources. ♦ Damage Reduced by a Percentage: the amount of damage received will be mitigated by the % it can be a reduction from all damage or a certain types. 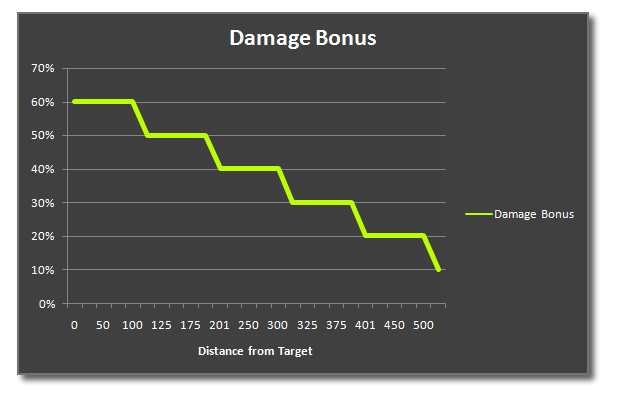 percentage-based damage reductions stack additively, meaning it is possible to reach 100% damage reduction. 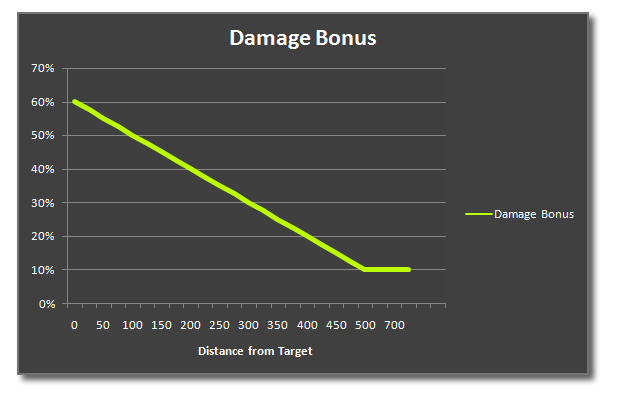 ♦ Passive Damage Reductions: the effect works all the time in any situation. - Preservers 100 Flat Armor. - Jackals 48% damage reduction. Condition: only active while moving. - Sentinels’ forces 100 Flat Armor by Bro J. condition: Only active when near Bro J. - Base defenders 10~15% damage reduction by level 11 & 12 Def-Lab. Condition: As long as Def-Lab is not destroyed or under upgrading. 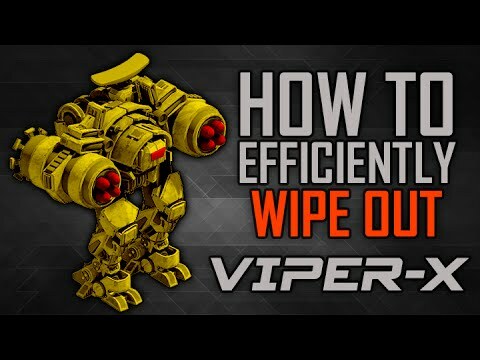 - ViperX Conductive Plating with a 12% damage reduction while moving. ♦ Status Effects Immunity: protection from negative status effects like Burning, Corrosion, Concussion, Shock, Slow. Units with such abilities: Inferno, Nightshade, Bro J with True Believers Armor...etc. ♠ Clip Size: is the number of bullets, rounds in one clip. eg. Heavy Ops have 6 bullets per clip, Slayer Drones have 14 and Snipers have only 1. ♠ Reload Speed: it's how fast a unit can change an empty clip with a new one. it's inversely related to Reload Time. ♠ Reload Time: The time needed to change an empty clip with a new one. Example, Commandos take 3.25 seconds to change the clip and start firing again. ♠ Charging Time: It’s the reload time for Energy Weapons such as the Crusaders, Enforcers, Ion, Plasma, LASER and Shock turrets. ♠ Rate of Fire (RoF): is how many rounds a unit can fire in one second. for example, Infiltrators have an RoF of 2. ie. they can fire 2 rounds per second while Preservers can fire 40. ♠ Activation Time: the time spent delivering the shot from the weapon to its target. example: Dante’s shells take half a second to reach the target while Sarkis’s rockets take 0.025 of a second to reach its target. Damage can be increased in two ways: Direct and Indirect. - there are many available components to increase damage Vs all or certain targets. - Sheila to all the Special Forces (Except the Infiltrators). - GoGo-Bar with up to +48% damage boost as long as the building is not destroyed or being upgraded. 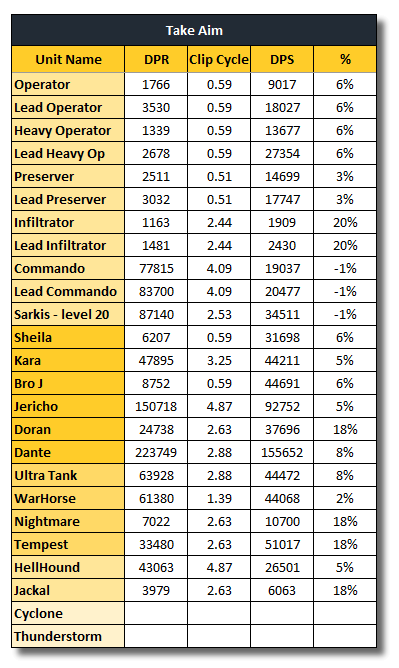 - Shadow Ops +Damage% during events. I will only focus on the tech components that indirectly affect the DPS, especially the Reload Speed & Fire Rate. We currently don’t have any SF component with that function! - Using Units like Vipers and Scorpions. - Using Components like Kara with Daedalus Rifle, Corrosive Coatings on Jackals, Apocalypse Shells on Mega Tanks…etc. - Using the Corrosion Missile or the Marauders Mercenary. - The goal from making this post is to give you a direction. The exact numbers might slightly differ from the actual ones. - Going after the highest DPS is not always the best, sometimes increasing\decreasing the unit’s performance gives you tactical advantages in certain situations. - The GoGo-Bar's +48% damage bonus can be directly added to the DPS. 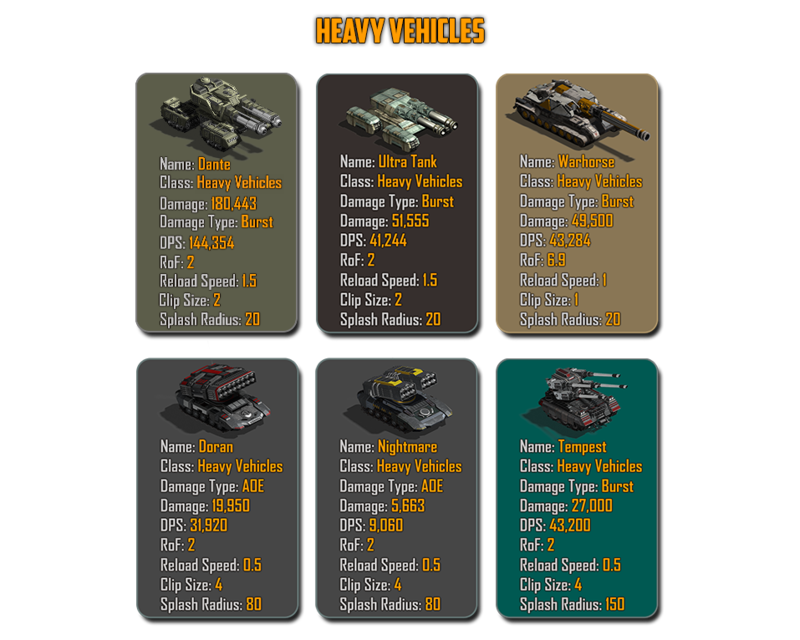 Heavy Vehicles have access to more Performance Enhancing components than Infantry and Light Vehicles. Several units got super boost from stacking 2 similar components e.g. Nightmares with 2 Fire Rate components. Others got the most benefit from both of their RoF & RS like the Ultra Tanks. Note: for the Tempest, Doran and the Nightmares, Using the Bandolier+Coolant Chamber will give them higher DPS% but they will suffer from 10% reduced movement speed, so choosing the slightly lower DPS% from Take Aim+Coolant Chamber or any other +Damage component is much better and recommended. Warhorses benefit the most from using both Shell Loader+Compressed Magazine together. Their Clip size of 1 and Longer Reload Times are the biggest performance weaknesses, but with these 2 components working together you have a 75% increased Reload Speed which dramatically increases their performance and thus increasing the damage output per second. 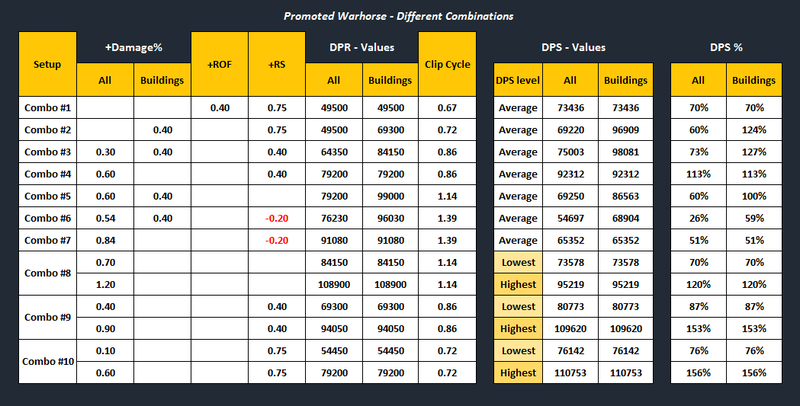 Also, notice how the 4th combination has no significant effect on the Warhorses DPS. Note: There are a lot of other better options to choose from, this is just to show you how these components work together & their effect on the DPS. I do NOT recommend using only the 3-component setups above, unless you don’t have any other options. 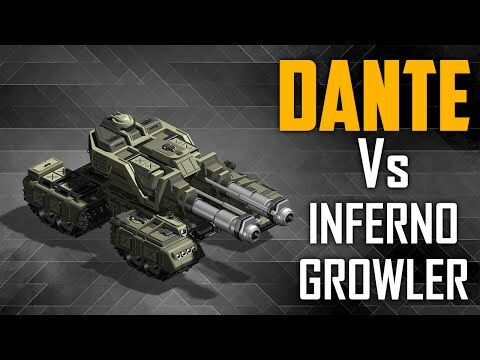 This setup has an average +DPS% at max range but up to +192% at close distances best for base defense against the Growler, the Inferno, BFG-X and other high HP units. Also it has no negative effects. Good for attacking with a maximum damage reduction from mines and very good +DPS% against buildings and walls. With no negative effects. Extremely durable! 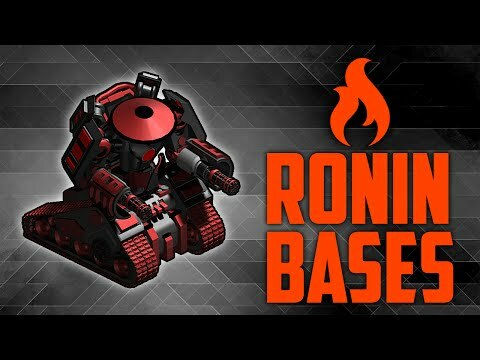 Best for base defense. The following video is for the Ultra with combo #3...Dante performs even better!! 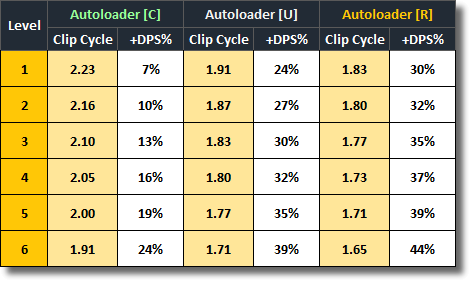 Average clip cycle length.Good for attacking with an 80% damage reduction from mines, but using [Compressed Magazine] increases damage taken by 10%. The perfect setup for destroying buildings and barricades with no negative effects. Highly recommended! This setup is excellent at taking down enemy units at max range and it also works very well against buildings. Has no negative effects and the Clip Cycle is one of the shortest. This has the highest DPR at max range good for one-shot kill enemy units. But the clip cycle is the longest among the other setups. Using all the available damage components, this has THE highest DPR to buildings and barricades at max range. Good for one-shot destroy enemy turrets that has low-RoF before they have the chance to recharge. [Heavy Ordnance] has a negative effect on the movement speed, but the [Reinforced Axles] negates that with its +25% speed increase. 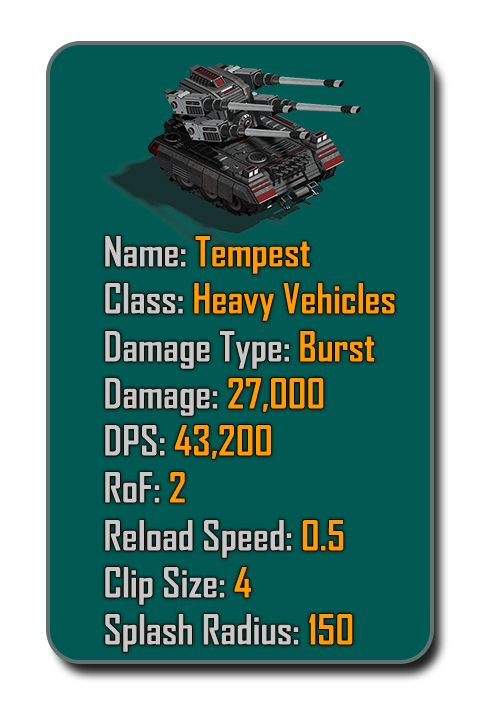 This has the highest achievable DPR to enemy units at close Range (over 453K per shot) best used as a base defender to counter the Inferno where you also benefit from the +48% GoGo-Bar damage boost. The only negative effect is the slower movement speed. Using only performance enhancement components, this setup has a very good damage output per second and could reach the shortest clip cycle possible (1.2 seconds) the only negative effect is the slow movement speed which’s negated by the [Reinforced Axles]. Using only performance enhancement components and focusing on maxing the Reload as much as possible, this setup has short firing cycle, but not the Shortest! Also it has a +10% damage taken. And the +DPS% is lower than that of Combo #10. Important Note: All the previous combinations were including Overload [R] component at its maximum Reload Speed boost. And since this boost is conditional and only active while your units taking damage from the enemy. The DPS percentages might be misleading. Combo #9 has the highest DPR against all units. 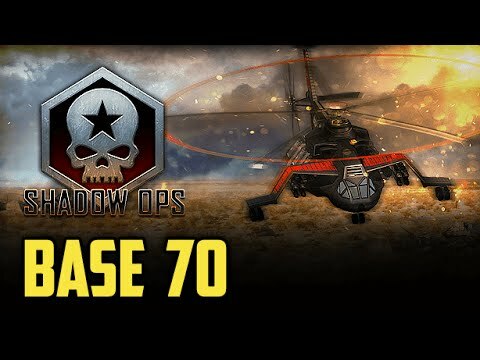 Best used as a base defender to one-shot enemy units during defensive waves & Onslaught where you also have the +48% damage bonus from the Go-Go Bar and the +Damage bonus from Shadow Ops. 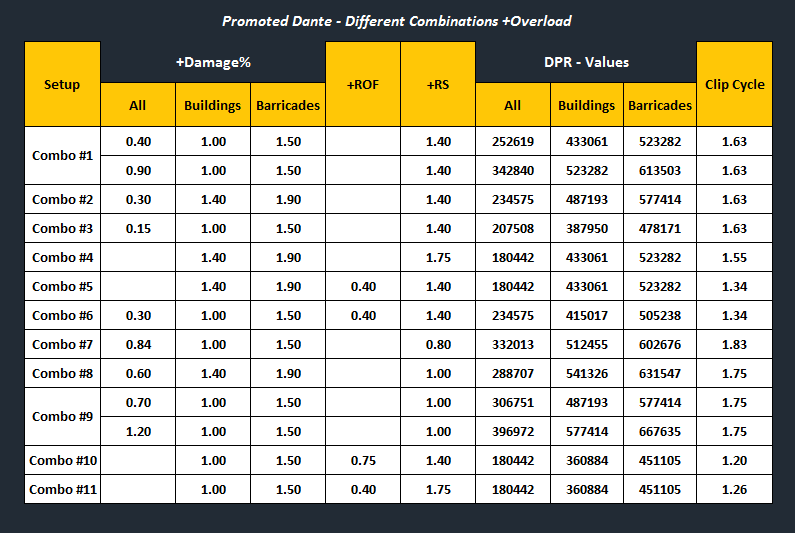 This setup is for maximum reload performance and extra damage to buildings, as you can see, it gives an average DPR & DPS% increase to Air & Ground units, but a huge damage output to buildings. This setup has the highest +DPS% to buildings at max range which should be very useful for attacking. Especially because it has no negative effects on damage taken or movement speed. This setup has the highest +DPS% to Air & Ground units at max range, but reduces the movement speed by 15% which would make the unit less effective in attacking and more suitable as a base defender on stand ground. This setup is all about increasing damage output, it has all the three components for +Damage with no Reload or Fire Rate bonuses. It suffers from longer reload intervals but has the highest damage per shot at max range. This would make it perfect for single-shot kills while strafing around the targets and against Airborne Platforms. Very good damage per shell on expense of more time wasted while reloading. The negative Reload bonus from Take Aim is a bad addition to Warhorses. Not recommended!! The following Combos use [Storm the Front] which gives a conditional +Damage bonus that requires your units to be standing still and depends on how close the enemy is from them. Average damage per shell at max range and up to 108K damage output at close range. But it has longer reload times and slower performance. This is a very good setup with no negative effects on the performance and the movement speed. 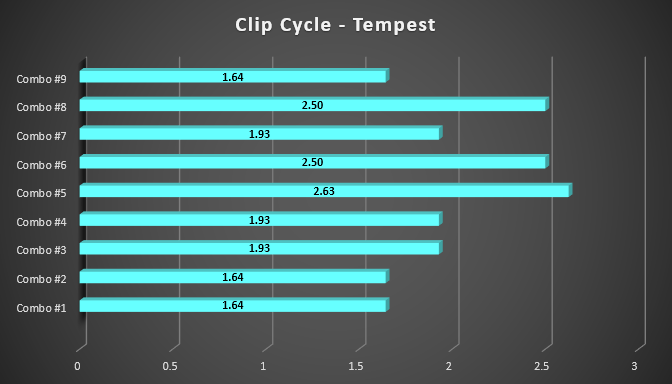 the Clip Cycle has a reasonable length. 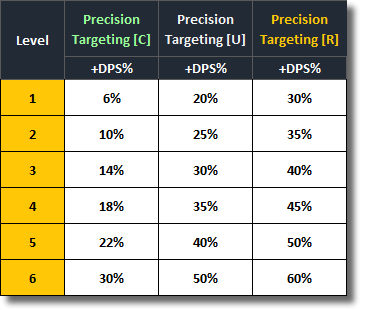 Both +DPR and +DPS% depends on your distance from your targets. This setup is recommended for defense. This has the maximum achievable +DPS% at close range, but the damage per single shell is average. 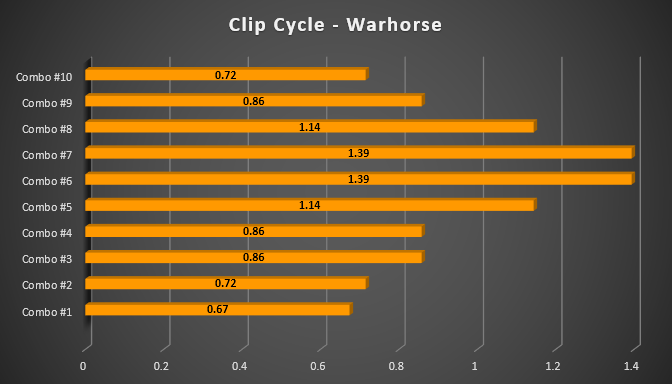 The reload speed bonus is highest and the clip cycle is short, but as a result of using [Compressed Magazine] your Warhorses will take 10% more damage from enemies. - Warhorses have 2 weaknesses: Short Range –Long Reload Time. 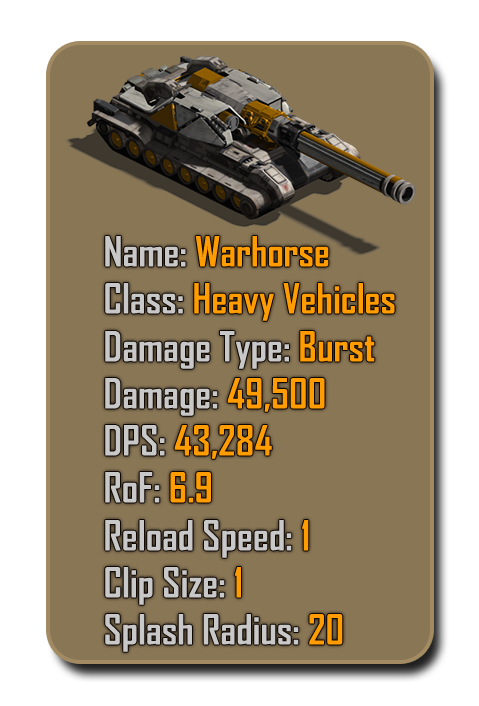 - Warhorses have armor plating similar to the Behemoth’s week to bullets and sustain damage. - Warhorses are affected by Bro J. heroic armor of faith with a +100 Flat Armor. - Using them as base defenders with [Caution Order] + [HD Plating] + Bro J’s Buff + Defense Lab level 12, you get a +27% damage reduction and +220 Flat Armor. With over 210% +DPS, This setup is very effective against Aircraft and Missiles with clouds of shrapnel fired at a rapid speed. The difference in performance can be easily detected. The only negative effect is the reduced movement speed as a result of using the [Bandolier] recommended for base defense. Aimed at increasing damage against Airborne Platforms, this designs has a decent amount of +DPS% but suffers from the 15% slower movement speed. This is the best setup for base-defending Tempests. 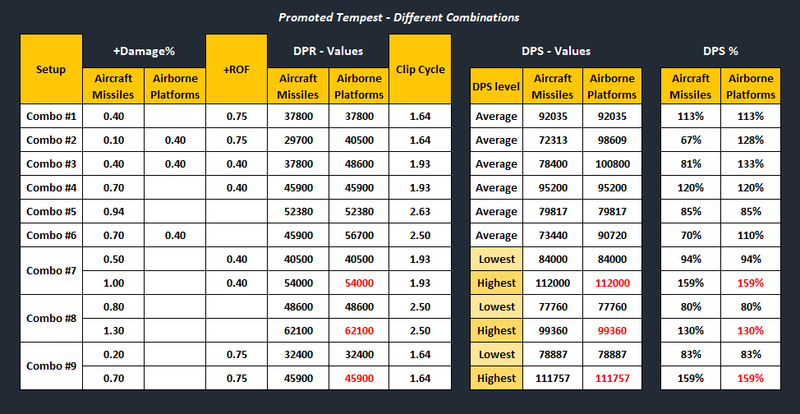 With the highest +DPS% against Aircraft and missiles at max range and a reasonable clip cycle length. There’s a 15% movement speed reduction, but if your Tempests are on defense, this effect will be irrelevant. At max range, this setup achieve the maximum damage per shot against Aircraft which would be useful against Night owls. 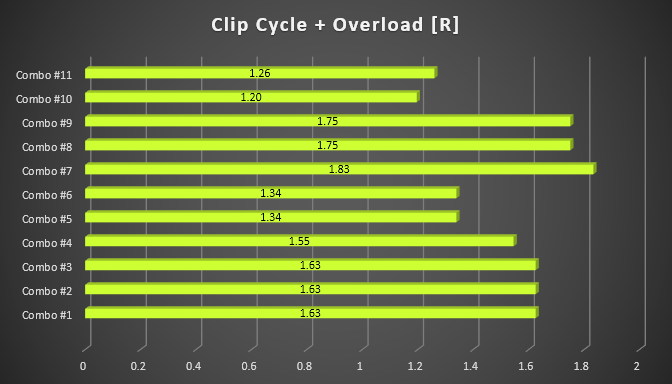 But the reload speed reduction from using [Take Aim] makes the clip cycle the longest among all the other setups. Not Recommended!! this setup doubles the amount of DPS without adding any performance enhancement to the Tempest. Aimed at increasing the damage against Airborne Platforms, with slow fire rate. Not recommended Vs Aircraft an missiles. This setup has THE highest +DPS% of all the possible combinations with nearly a +160% at close range. It’s perfect for base defense against the Phantom, Night owls, Thunderstorms, Missiles and any Aircraft that flies directly above the Tempest. also it has no negative effects on the speed or the firing performance. This has the highest damage per shot at zero range, but the clip cycle is longer and the DPS is not better than combo #7 or #9. Similar to combo #7 faster performance but less effective at max range. This setup is for shutting down multiple Airborne Platforms in a very wide radius. 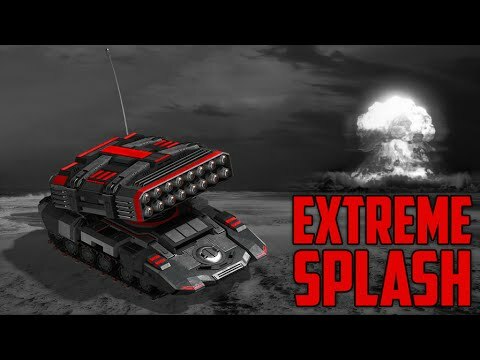 This is for extreme splash Vs Airborne Platforms. You can switch [Demo Rounds] with [Uranium Payload] as a good counter to Aircraft. - Tempests have 2 weaknesses: Short Range & Slow Movement Speed. 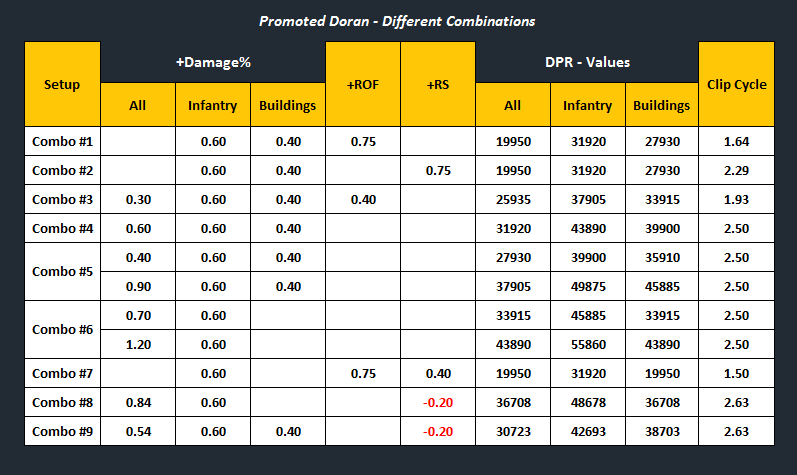 - The values colored in red in the table above, are the maximum amount of damage to buildings at range zero. These numbers can’t be achieved since Tempests have the Move & Shoot ability and will destroy their targets way before they reach the maximum damage bonus. 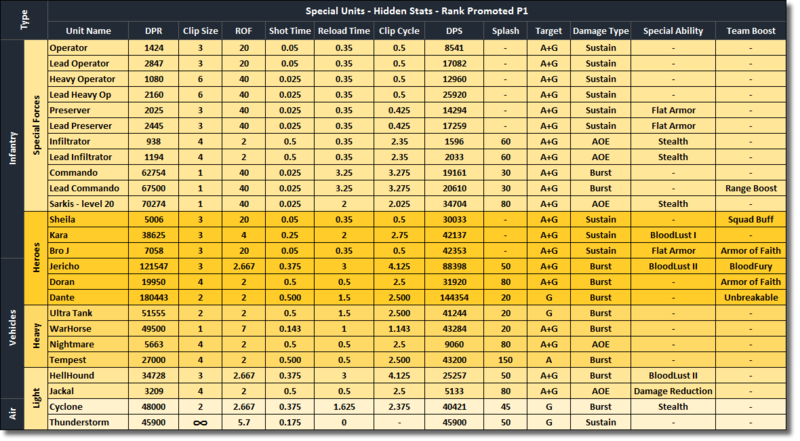 - Increasing DPR is good to counter low~medium HP units like Night owls before they have the chance to reload or retreat. - Increasing DPS is good to counter Medium~High HP units like the Titan & the Sandstorm. to kill them before they do serious damage to you. 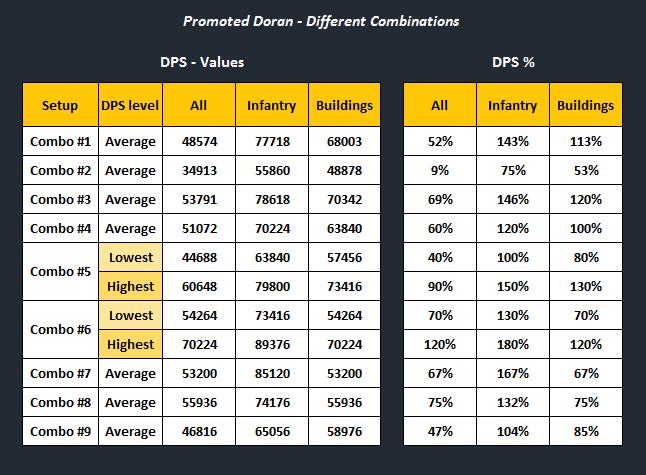 Doran Has a versatile armor, very powerful damage and a very wide splash radius. There’s no harm in increasing his Damage a little bit, but because of his already huge DPR, there’s no need to fill his class slots with +Damage components, but rather focus on increasing his Rate of Fire as much as possible to let more rockets out. This will help his Hit&Retreat move where you can target a Plasma turret for example, let a few rockets out then move him backwards before the Plasma release’s its charge. The fired rockets will be enough to destroy the target. High damage against both Infantry & Buildings with one of the shortest clip cycles but suffers from 10% movement speed. This has the lowest +DPS% to Tanks and Aircraft and below average to Infantry and Buildings. Reload Speed components are not recommended for the Nightmares & Doran. In addition to the +10% damage taken. not recommended!! this setup is very good vs. everything from Buildings to tanks to Infantry. 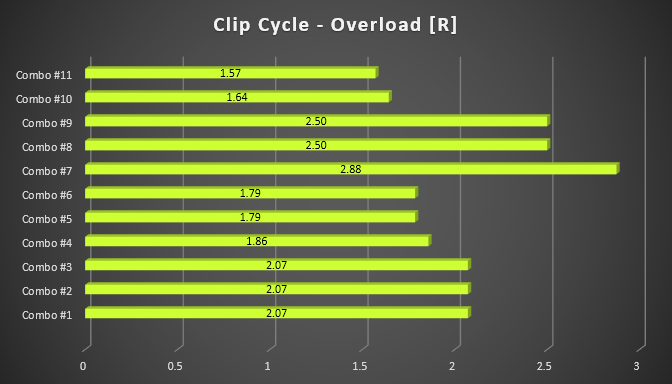 With the highest +DPS% to buildings at max range and reasonable clip cycle length with no negative effects. Highly recommended!! Theoretically, this setup has a good +DPS% to all targets, but it’s not recommended to waste a class slot for [Storm the Front] and another with [Demo Rounds] because StF is relevant when your unit is very close to the target and standing still. And if you can safely reach that close to enemy turrets & buildings, you could’ve destroyed them way before getting that close! Combo #4 is a better option. This setup is very good against short ranged units such as Toxic Offenders, Widow Makers and Vipers. It has the Highest achievable +DPS% against all targets, but has the same Clip Cycle of 2.5 seconds. 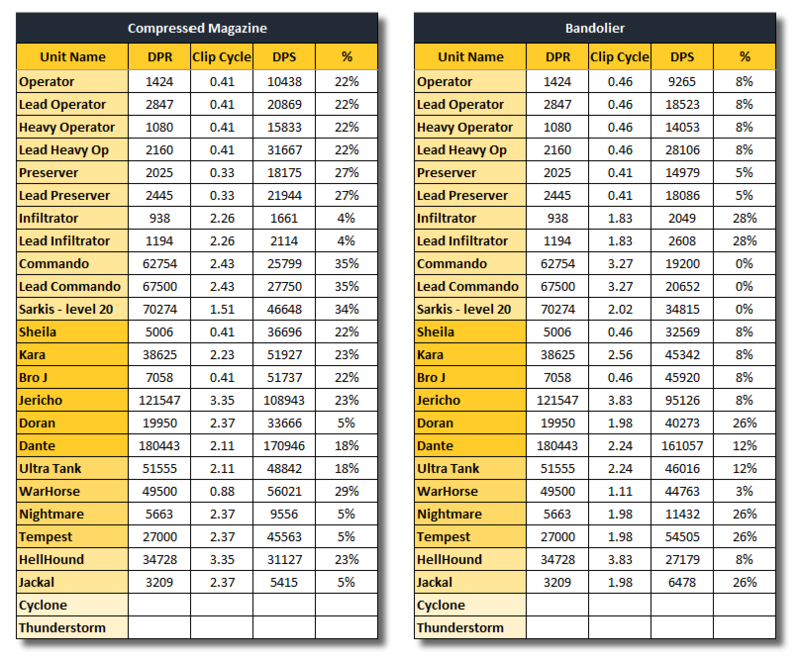 Average DPR but a very high +DPS% against all units especially Infantry at max range with the maximum performance&a clip cycle of a 1.5 sec,the shortest among all the possible combinations. the All-Terrain Treads makes Perfect for Hit &Retreat maneuvers. 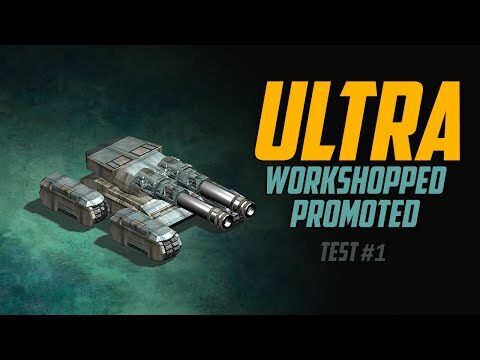 This setup has the Highest DPR and +DPS% against all tanks and Aircraft, but has longer clip cycles -even longer than the uncustomized units (2.63 sec) and slower movement speeds. 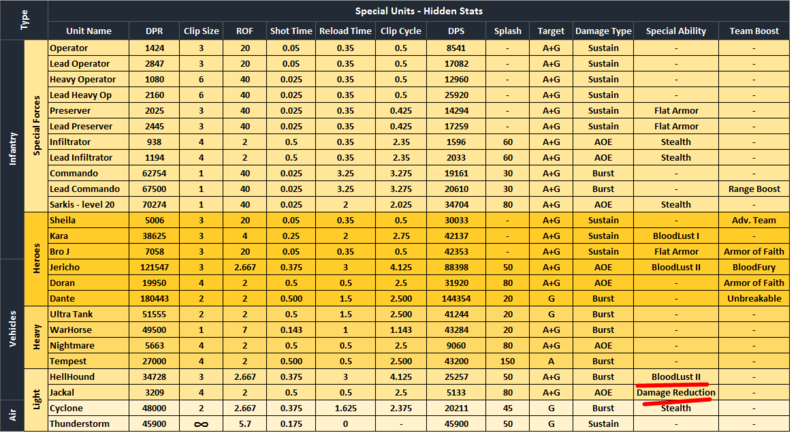 This has a very high +DPS% to buildings and barricades but the clip cycle is long and the performance is slow. Using [Take Aim] is Not Recommended!! This setup has the maximum possible armor and damage reductions. This has the maximum splash radius of 135 with napalm effect. Can demolish large areas with ease. The splash compensate for the lost range. Just target a barricade and it will do the rest. With over a 200% +DPS against Infantry at max range, this setup is the perfect one to take out waves of Infantry SFs as fast as possible. Highly recommended! All the light vehicles will be added later. 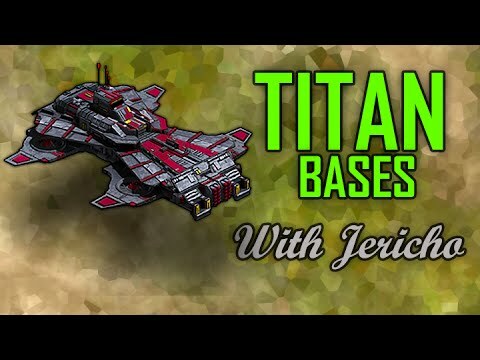 This is only a quick post about the two setups we are currently using for Jericho to help you in the next event. Jericho is all about agility. When equipped with the right components, he can break the speed records!! He’s currently one of the best snipers in the game! With a very long range, Move & Shoot ability, High DPR, Rapid Fire tactic, Bloodlust II ability and Bloodfury Heroic buff. This setup has higher damage output and better overall performance than the other one, because of the reload speed boost. best used when you need him to hit as many targets as possible while running around the base or in a platoon fight. Compressed Magazine or any future component for Reload Speed is necessary. 1- Hellhounds have a Bloodlust II special ability which increases their Reload Speed up to 100% after 10 kills. 2- Jericho boosts the Hellhounds’ Reload Speeds even more with his +15% Bloodfury Heroic Buff. This setup is perfect for Hit & Runs and single-target sniping. Especially if your target is stationary eg. Buildings and Turrets. Jericho and the Hellhounds have 3 rockets per clip. And when you have the opportunity to snipe\shoot at a target, you need to empty the clip (3 rockets) as fast as possible and retreat back to safty. Reload Speeds is irrelevant, because by the time you run away and return for another shot, the reload timer will be reset and a new clip will be full & ready to be fired. [Bandolier] slows your Vehicle by a 10%. That’s why we used [Go Commando] to compensate the negative effect and keep Jericho as agile as possible. Credit goes to GoSmokeMore for the Bandolier setup [LINK] This is the one I am currently using for attacking with some help from the Growler as a shield. 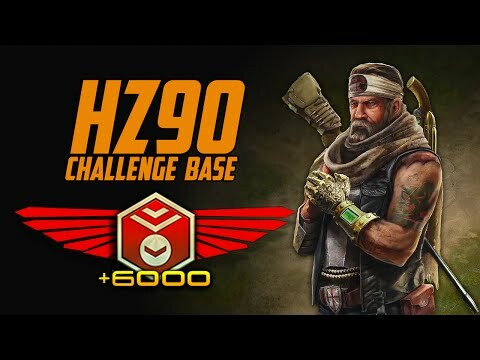 HZ90 With Jericho – **** a level 20 ESS. 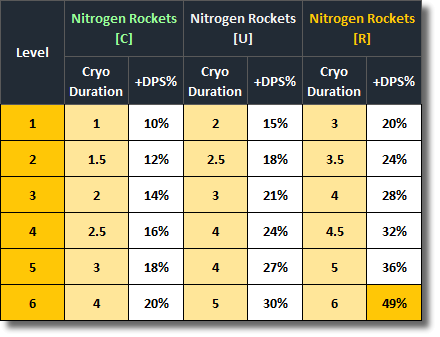 The Nitrogen Rockets [R] at max level has a +10% Reload Speed boost which increases the damage even more! All the following combinations are applicable to Promoted units only! 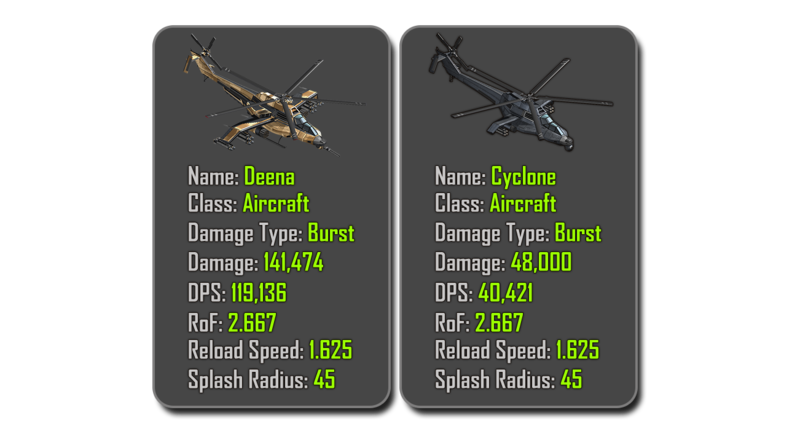 This is the best balanced combination Vs all units including aircraft (Using Deena’s Shredder) with a +183% DPS increase Very fast firing performance and clip cycle. This is the 2nd best option after Combo #1 with a 177% +Damage to all targets. 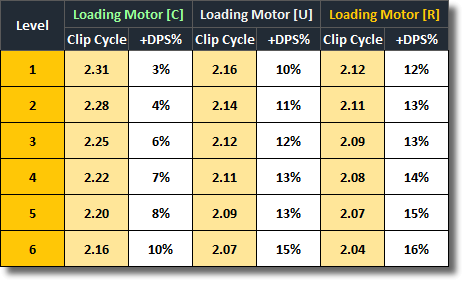 This has THE fastest firing cycle among all the possible combinations, but the DPS increase is the lowest! Not recommended!! 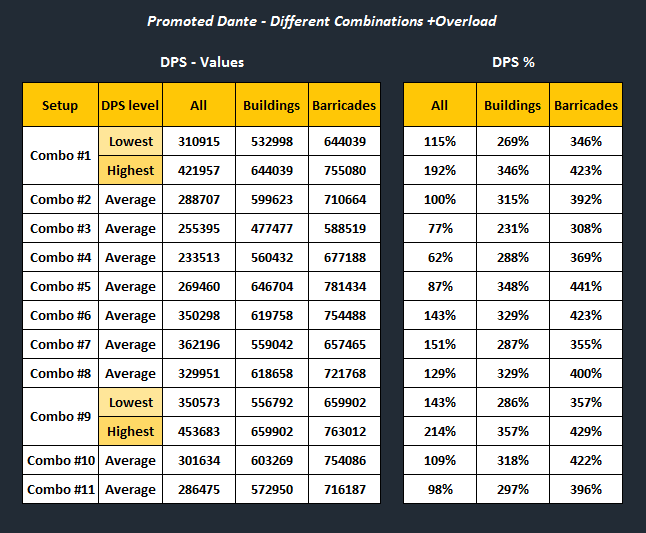 Both Combo #5 and #6 have average +DPS% and their firing cycle is the longest. Not recommended!! This combination is a Monster against Infantry. It’s the perfect SF killer with over 200% DPS increase and a reasonable firing cycle length. And it has Cryo effect too. This is best for Hit & Runs, empty the 2 rockets clip as fast as possible and retreat to safety as fast as possible. It’s better to use it with a Titan or an ESS for cover. ♣ The extra speed\acceleration component is not critical for cyclones as they have the sufficient agility and speed to fly and maneuver in battle. ♣ While Cyclones have a longer reload time than and need +Reload components, fire rate plays an important role too! How fast you can empty a clip can help you take down a target eg. a Storm, Blitz or a Hunter turret quickly before it manages to shoot or to lock-on to you. ♣ You don’t need to use [Nitrogen Rockets] on all of your Cyclones, one or two is more than enough to apply the Cryo effect. ♣ The Rare version of the [Autoloader] and [Loading Motor] has only a 10% increase over the equivalent Uncommon parts. Investing your time and resources in the Uncommon version is more recommended than the Rare ones, considering the huge amount of Oil, Metal and Thorium needed to upgrade those parts and the lack of additional benefits at max level. You have way too much time on your hands, your g/f must be lonely. All this work for things a decent non moron player should already know ?! This was the deepest i have ever read about what units can do and what tech is worth while using, this has to be the most intelligent post "Ever" on our units for that i have mad respect MX36. This will truly help me as i will go by this as a bible for WC. Thank you for making this thread. This will help our community a bunch! Even have video's man this was the [email protected] lmbo. This post. So beautiful. Can't stop staring. Wrongthinker if this do not deserve a cookie lol i do not know what would. This was the most positive post we had in some time. PS: This post needs to be saved by all means. Click the gray star right besides the title and it should turn orange. When I say we have brilliant and talented people in the community. This is what I mean. 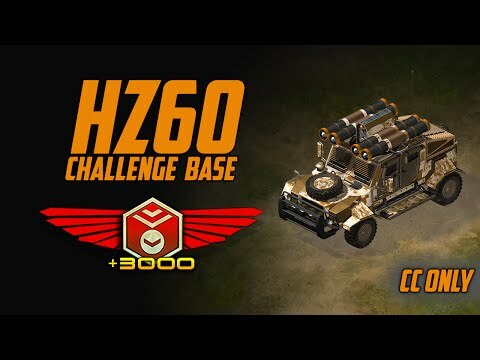 As for War Commander I will probably come back around October 2018.
could you rate this combination please....napalm warhead,zone detonator,bandolier,coolant chamber and uranium payload. i can live with the 10% slower movement speed for the fastest fire rate if its as good as i think it might be. Whoo! She got the drop on old Reggie. Caught those full in the face. Those were guns, Reggie be dead. Glad to hear that. Thank you! I was going to make this post in the middle of the month when I have more "free time" but it seemed more appropriate before the event, to help others decide what to unlock from the gear store and prepare for the event. 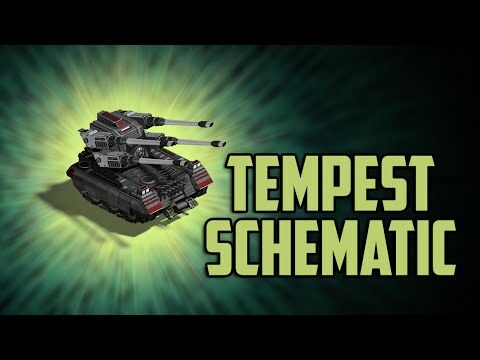 There's a part in the OP about the relation between [Storm the Front] and Range mods, can you shed some light on how this bonus works? Is it calculated using a stair-step function? Is it calculated relative to the exact distance between the unit and its target? If Jericho is equipped with a +100 range, does it affect how the damage bonus is distributed over the new range? When Jericho has a 475 range, [Storm the Front] gives over a 30% bonus at 238 range. 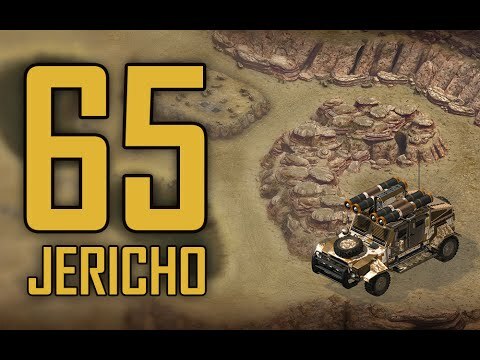 now if his new range is 575, [Storm the Front] should give over a 30% when Jericho is at 288 distance from his target. right? 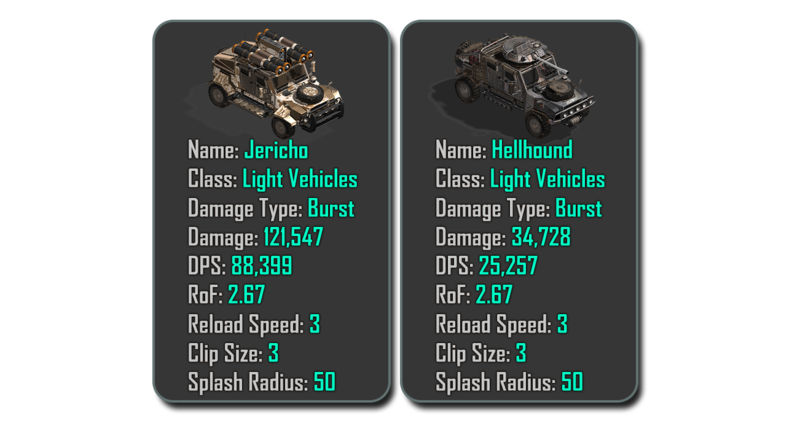 Just asking for a question: What is the bonus for the Jericho, I mean, what does bloodlust exactly means for Hellhounds and Jericho? 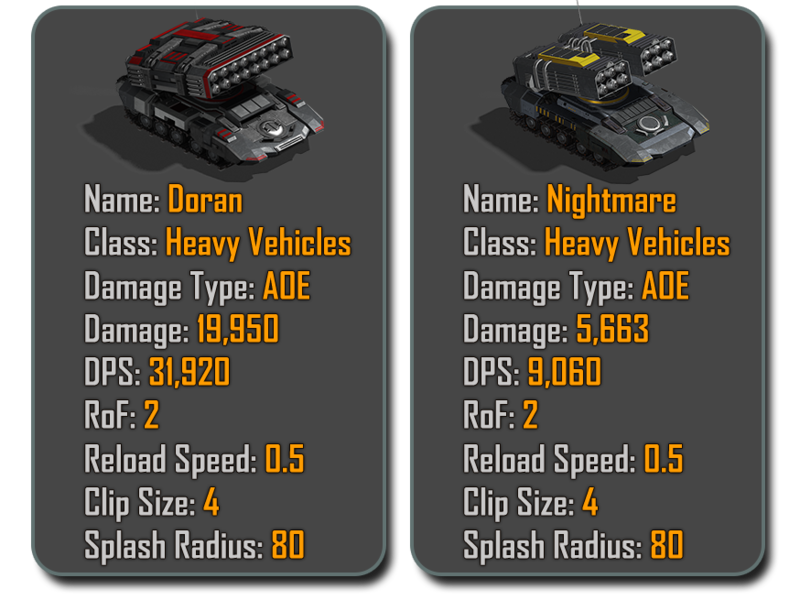 I use Doran\Nightmares exclusively against buildings and would change to [Demo Rounds] instead of [Uranium Payload]. but that ^ is an excellent all-around combination! Double the DPS Vs all and near 3X to Infantry! what do want to use it for? I cannot even begin to thank you for putting all this together. I knew much of this but you showed me things I had not thought of yet. Thanks again, and again. just asking is the hellhound bloodlust II, is the ability it own or only can active with tech / team with jericho? whats is the damage reduction for jackal ?